Here at Estila we are passionate about highlighting British emerging designers and small independent brands. One of them is Jewelled Buddha, a lifestyle brand that aims to enrich your lives and homes with beautiful textiles and accessories. 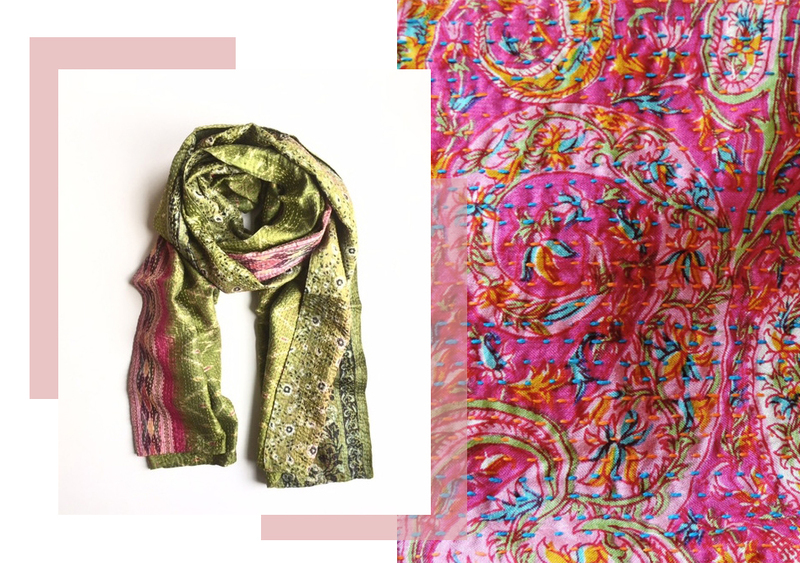 They partner with House of Wandering Silk, a social enterprise based in Delhi, to bring you a carefully curated selection of quality accessories made from recycled, handwoven and hand-dyed textiles. 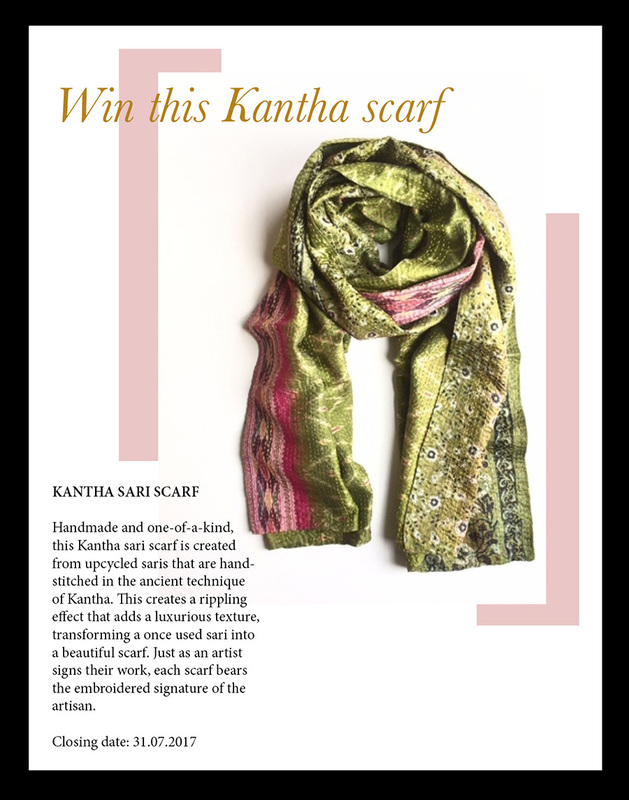 And now you have the opportunity to win the beautiful Kantha sari scarf.